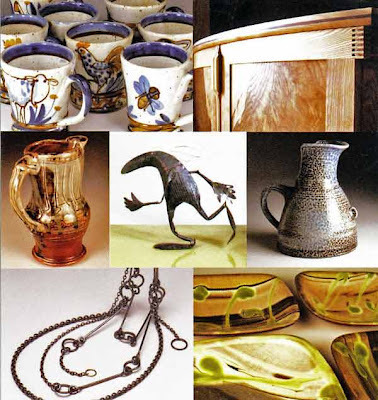 Wobage maker's gallery displays a selection of hand-made contemporary craft. The 18th Century barn houses the gallery allowing for a large range from each maker to be shown. The adjoining workshops offer a unique working environment to the 5 potters, woodworker, basket maker and jeweller. One of whom will welcome you on your visit.